Children at Play Museum - Kids adore Kitty Hawk's Children at Play Museum, thanks to its dozens of interactive exhibits that effortlessly show just how fun learning can be. Focusing on daily "grown-up" activities and professions, local landmarks, and local activities (like fishing and lifesaving), kids will have a blast getting to know the Outer Banks world around them. Wright Brothers National Memorial - The site of the historic First Flight features an indoor Visitors Center with a wealth of with special exhibits, including a replica of the 1902 Wright Glider. The Wright Brothers Memorial also features regular interactive programs, for kids and adults alike, as well as a multipurpose auditorium. Local Lighthouses - Two of the Outer Banks' famed historic lighthouses are located just a 20-30 minute drive away from Kitty Hawk. The Bodie Island Lighthouse, (located south of Nags Head), is unmistakable for its horizontal black and white exterior, while the Currituck Beach Lighthouse in Corolla is distinctive for its bare red brick facade. Both are seasonally open for climbers, even on rainy days, but do close when thunderstorms are in the immediate forecast. Jennette's Pier - Skip the fishing and head to the indoor Pier House which features a number of exhibits, courtesy of the North Carolina Aquarium on Roanoke Island. With educational classrooms and programs, alternative energy demonstrations, live animal exhibits, and a snack bar and tackle shop, the Jennette's Pier is just as entertaining on a rainy day. North Carolina Aquarium - The North Carolina Aquarium on Roanoke Island is a popular rainy day destination, thanks to its many exhibits and programs designed for kids and adults alike. Watch sharks cruise by in one of NC's largest saltwater tanks, or allow your budding biologists to learn something new at the interactive Animal Hospital Exhibit. The aquarium also features special exhibits on area hurricanes, exotic and local sea critters, and touch tanks where patrons can get their hands wet with skates and horseshoe crabs. Outer Banks History Center - Located at Roanoke Island Festival Park, the Outer Banks History Center is both an essential research center for national journalists and writers, and a fun destination for everyday history buffs. The center features rotating exhibits that spotlight local artists and / or a specific aspect of OBX history, making it a fascinating and always-changing destination. Outer Banks Center for Wildlife Education - This expansive center next to the Whalehead in Historic Corolla in Corolla features more than 5,000' square feet of exhibits. Check out local artifacts, peruse the decoy gallery, and be awed by the massive 8,000 gallon aquarium that's stocked with native Currituck Sound and Atlantic Ocean sea life. Fitness Centers - Kitty Hawk is home to the Barrier Island Fitness Center, which offers regular fitness classes, free weights, and Cardiovascular & Circuit Training Equipment. The center also boasts an indoor pool and hot tub, a sauna and steam room, tanning beds, and even massage therapy for a more relaxing visit. Arts and Crafts Classes - Head to the Jelly Lounge in Kitty Hawk, which hosts arts and craft classes and special activities throughout the week, which are taught by local Outer Banks artists. The crafts center also offers Ladies Night Paint ‘n' Sip wine parties, and can be reserved for special gatherings and celebrations. Movie Theaters - Neighboring Kill Devil Hills is home to R/C Theatres, which features wall-to-wall curved screens and stadium seating, and also boasts an on-site game room and afternoon matinees to keep everyone entertained. Manteo is also home to a theatre, the Pioneer Theatre, which is one of the oldest theaters in North Carolina and features nightly shows. 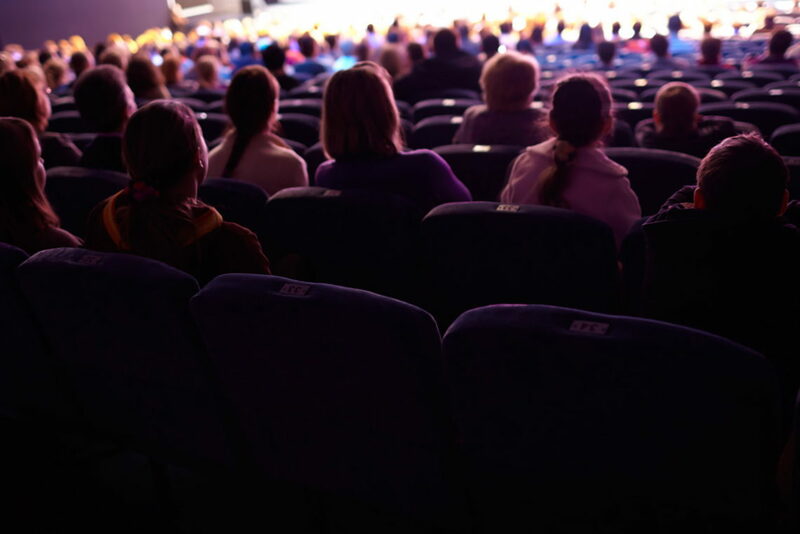 Live Theatre and Shows - The central Outer Banks has a range of theatre options for all age groups and interests, including the North Carolina Marionette Theatre, the OBX Mystery Dinner, the Theatre of Dare, and the Comedy Club of the Outer Banks. All of these aforementioned theatre companies and playhouses are located in Kill Devil Hills, making them convenient destinations for Kitty Hawk vacationers. Laser Tag - The central Outer Banks is home to two Laser Tag Centers, which are Outer Banks Gear Works Laser Tag & Fun Center and Destination Fun in Kill Devil Hills. Additional amenities for patrons at these centers include arcades, pool tables, 3D mini golf, and on-site snack bars. YMCA - Head to one of the largest indoor pools on the beach with a visit to the YMCA in nearby Nags Head. This complex also features regular fitness and swimming classes for kids and adults alike, and offers temporary passes for Outer Banks guests. Kitty Hawk Kites - The massive Kitty Hawk Kites store in Nags Head is more than a launching point for outdoor sports instruction. Head here on a rainy day for a chance to tackle the indoor climbing wall, get a quick demo on kite-flying, or participate in seasonal special events - like holiday appearances by Santa Claus himself. Local Spas - A spa day is the perfect way to relax on the Outer Banks, and the central OBX region offers a number of local spas that are within a 20 minute drive for Kitty Hawk visitors. Head to the Aqua Spa, Lotus Day Spa & Boutique, or The Sanderling for a full day of pampering. Duck - The Waterfront Shops, Scarborough Lane Shoppes, and the Scarborough Faire Shopping Village are home to some of the most unique boutiques and galleries on the Outer Banks. Best of all, these acclaimed shopping centers are located close to Kitty Hawk, and also close to each other, for a simplified shopping experience. Gallery Row - Head to this small but distinguished oceanside road in Nags Head to browse through a half dozen of the region's finest art galleries. Local, regional and acclaimed national artists are all represented at this popular shopping destination for art lovers. Tanger Outlets - Nearby Nags Head is home to the Outer Banks' only outlet center, Tanger Outlets, which boasts deep discounts by name brand retailers. Popular nationally-recognized stores include Coach, Gap, Tommy Hillfigure, J Crew, Corningware, Bali, Polo and Bass. Shoreside Shopping Center and the Marketplace at Southern Shores - These two shopping centers - found adjacent to the entrance to the Wright Memorial Bridge - offer everything a visitor needs for a great vacation. Stores in these centers include CVS, a chain grocery store, a Dare County ABC store, Starbucks, and the Outer Banks' sole Walmart. Vintage Shopping - The Beach Road in Kitty Hawk is home to a handful of chic vintage boutiques, while the Beach Bypass features several thrift stores including the Hotline Thrift Shop. A little exploring will provide bargain hunters with plenty of options for clothing, home goods, and other second hand beach treasures. Gourmet Food Shopping - Check out Coastal Provisions Market, L&M Seafood, or Trio in neighboring Kill Devil Hills to load up on all the fresh ingredients and fine wines required for a gourmet meal at home. Dining - Kitty Hawk is home to a range of eateries, from classic post-beach hang outs to fine dining establishments. With many local restaurants offering happy hour specials, an assortment of fresh seafood, and even lounge areas or bars with TVs to watch the big game, a rainy afternoon is the perfect time to appease an appetite.